RABAT, Morocco, April 22, 2010 (ENS) – In celebration of Earth Day’s 40th anniversary, the Kingdom of Morocco today announced an unprecedented National Charter for Environment and Sustainable Development, the first commitment of its kind in Africa and the first in the Arab World. The charter will guide policy in the country and future laws on natural resources, the environment and sustainability. 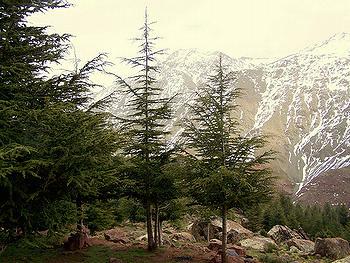 The King of Morocco, Mohammed VI, spearheaded the National Charter for Environment and Sustainable Development, which has undergone a nationwide, public consultative process and will form the framework for national environmental laws. Prince Moulay Rachid and Princess Lalla Hasna, chairwoman of the Mohammed VI Foundation for the Protection of the Environment, presided over the Earth Day celebration. The ceremonies featured the signing of five international conventions in the field of environment protection. Moroccan cabinet ministers presented a range of environmental projects for the future – to repair the desertification caused by forest over-exploitation, place artificial reefs to protect marine ecosystems, use the methane gas from a landfil to generate clean energy, eradicate plastic bags and foster an eco-school. Then Princess Hasna hosted a celebratory dinner. Among the guests were Jean-Louis Borloo, French minister of ecology, energy, and sustainable development, mayors of foreign cities, Moroccan government ministers and other officials. In March, Princess Hasna visited Washington, DC for a ceremony presenting Rabat as a premier city for the 40th anniversary of Earth Day. She said that Morocco’s recent $9 billion investment in solar energy, demonstrates the country’s ongoing dedication to harnessing renewable energy to build a green economy. By 2020, Morocco expects to have renewable energies account for 42 percent of the country’s total power installed; this major solar project will reduce, by 3.7 million tons, the emissions of carbon dioxide per year, the princess said. King Mohammed VI has also launched a project to plant one million palm trees by 2015. 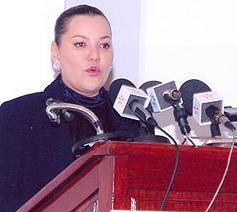 Princess Hasna is sister to King Mohammed VI and also to Prince Rachid. Since her childhood, Princess Hasna has been interested in social and cultural activities, with special emphasis on environmental issues in Morocco. In 1999 she launched the national campaign for the protection of the environment and gave the prize for the most beautiful and cleanest beach in Morocco. To support her work, the Mohammed VI Foundation for the protection of the environment was created in 2001. In 2002, Princess Hasna established a prize for young environmental reporters and in 2003 she created a prize for photography that is annually awarded on the UN’s international environment day, June 5. On Saturday, April 17, the princess presided over the official inauguration ceremony of an ecological space in the esplanade of the Oudayas in Rabat, on the occasion of the Earth Day celebrations. She visited exhibition spaces along the path beside Bouregreg River, which hosts a solar panel, a windmill and a truck of Morocco’s National Meteorological office used to measure air quality.